My nose does feel that big but it's a wee bit more red. 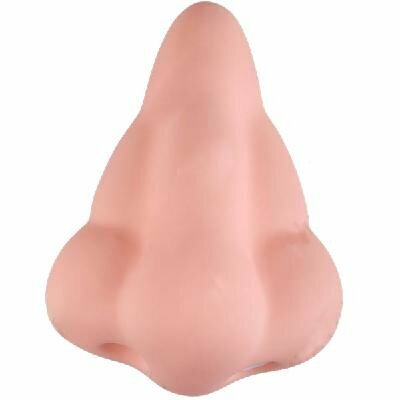 This week my nose has been running more than I have. This typically happens after my big work conference in November. My body finally says, “Hey, I held up for as long as I could and now this conference is over so I’m going to get us sick.” This year, the cold has just taken up residence in my nose. Technically I can still run but I have been feeling run down so I figured now is the best time to rest before I start up my Miami Half training. I’m starting to get antsy so I guess that is a good sign that I’m feeling better. Yay! Today also starts the official countdown to my 40th birthday at the end of the month. It feels kinds of weird only because for the past year I have basically been referring to myself as in my forties. In a way it is a bit anti-climatic. I haven’t planned anything for my birthday but that is nothing new either. When you’re the kid whose birthday falls two days after Christmas you learn early on that this day gets over looked. I have to work that day so I’ll probably have lunch with some friends because I have to run five miles that evening. I do however, have some belated special treats planned for myself and yes, the trip to Miami is one of them. Another treat is a trip to the opera. My ex and I used to go all the time and I have only gone sporadically in the past few years. I have missed that so much and that is something I’m going to correct this upcoming year. I’ve got my ticket to see one of my all-time favorite soprano’s, Patricia Racette, in Tosca at the Met. I’m in the process of picking out a few more performances to see in 2012 and I’m really excited about that. I hope to travel a bit more without it being tied to a race. While that’s not a bad thing sometimes it’s a very good thing when your major decision of the day is if you’re going to read your book poolside or on the beach. It is crucial to have those kind of trips. But I’ve got to get my nose in order first. Maybe doing that can be considered an early birthday present. This entry was posted in Half Marathons, running and tagged birthday, colds, half marathon, miami, nose, opera, patricia racette, Running, tosca. Bookmark the permalink.